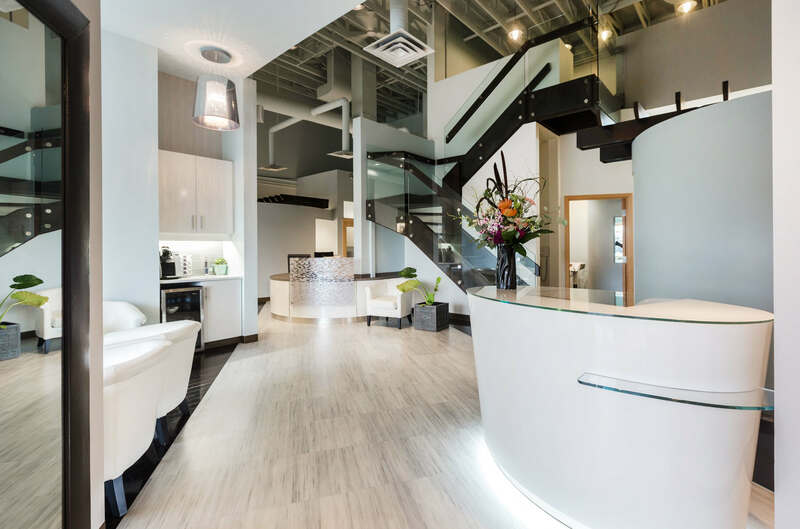 Kim Boldt, DMD and her team of dentists offer personal attention and dedicated dental treatments in Edmonton. Our practice serves patients from every age group and addresses the unique needs of each patient. We strive to create a comfortable atmosphere that grants patients a positive dental experience whenever they receive dental care. Summerside Dental offers general dental care to individuals and families. If you wish to receive dental attention or need a routine cleaning, call us at 780-440-4269. We are happy to answer all your questions and inform you of our full list of offerings. All Services provided by general dentists. Our dental team puts patients first. We deliver individualised dental care with the goal of establishing oral health for a lifetime. When patients visit us, we listen to their concerns and provide thorough examinations to diagnose any dental problems. From there we craft a treatment plan that details appropriate procedures to fulfill their oral health needs. Our dentist and her team offer Summerside patients the one-on-one attention they require. We want all patients to feel like part of our dental family and benefit from our friendly environment. It is our goal to deliver quality dental treatments that improve the health and beauty of our patients’ smiles at every age. We see children as young as three for their first visit and examine their oral health. Our office provides comprehensive dental education for parents and children alike, which enhances oral hygiene while at home. We monitor our patients’ oral health at each stage of development, and strive to treat issues preventively, which minimises the need for extensive dental procedures. As a family practice, we hope to build a rapport with patients and maintain our relationships for a long time. You can find us on Summerside Drive near the Esso gas station. We offer our dental services to anyone in South Edmonton, Ellerslie, and Summerside. To schedule an appointment, call us today! New Patient Experience at Summerside Dental! I just wanted to send an update. We got Sidney's tongue tie and lip tie revised 2 weeks ago today. Her top lip is looking great, she has great mobility and the stretches have really helped her lip muscles loosen up. I'm so pleased with the results. Her tongue has gotten hard to stretch as she has figured out how to wiggle her tongue around to avoid the fingers, which I'm taking as a great sign. She's really learning how to move it around. When I eventually get under her tongue, there seems to be a bit of reattachment/regrowth, but since the mobility is there I'm not concerned. Just more motivation to keep up on the stretches, which she only mildly complains about these days. I'm so happy to have a skilled dentist here in town to help her little mouth out. Keep up the good work. We've just made it to the two week mark since our tongue tie and upper lip revision with you. I just wanted to thank you for doing such a thorough revision and going deep enough to really make a difference. Since the night of the revision my son Denzel (5.5 months) began sleeping 9 hours continuously out of 12 through the night (as opposed to his usual 3-4 before needing to nurse) he also began pooping daily as opposed to every few days. Nursing is now pain free and his upper lip is no longer STIFF. I am so grateful to have someone in Edmonton skilled enough to understand and rectify his tt with Laser. Great experience! The staff are wonderful and it was easy to get an appointment at a time that suited us. My kids (5&7) loved the video games in the waiting area and the TV on the ceiling in the exam room. Good day to you all. Just a quick note that my tooth feels much better and a BIG thank you for fixing it. Although I could not feel my face for a few hours it was worth it ... by the way I also stopped "drooling". Thanks again, be back soon.